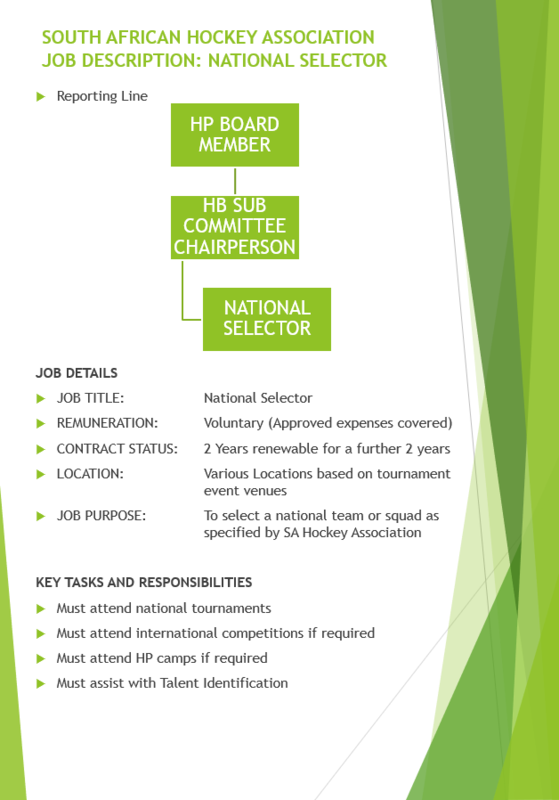 The South African Hockey Association are calling on applications for the role of selectors for both our Senior National Men and Womens Selection Panels. The job description is detailed below. 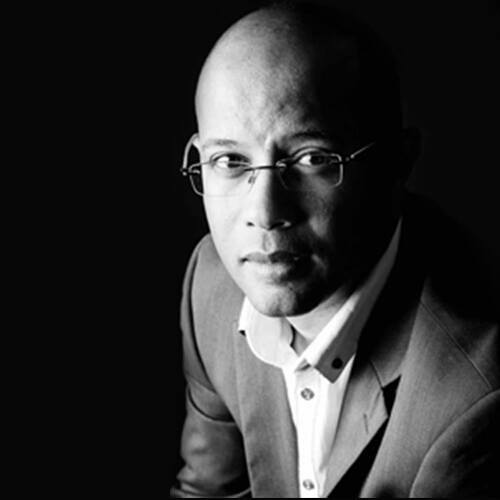 The South African Hockey Association (SAHA) and the Players for Transformation (PFT) movement held a meeting today that was facilitated by Mr Barry Hendricks (2nd Vice President) from the South African Olympic Committee (SASCOC). At the meeting, SAHA and PFT discussed various issues relating to transformation of hockey in South Africa and the way forward. The team will then have its first meeting in December 2018. The team will then report back to their respective constituencies regarding the work of the team. It is hoped that this will result in proactive and meaningful steps towards the achievement of transformation of hockey in South Africa. The Blyde River Bunters secured their second CTM Premier Hockey League title when they overcame the Madikwe Rangers in a tense battle at Randburg Astro this afternoon. In the men’s tournament there was a new champion as the Drakensberg Dragons emerged victorious in the battle with the Addo Elephants. A near capacity crowd at Randburg Astro welcomed the ladies onto the pitch for the 2018 CTM Premier Hockey League final. In a repeat of the 2016 final the Blyde River Bunters were looking for their second title while the Rangers were looking for their first. Much of the early game was down to a titanic midfield tussle led by Izelle Verster for the Bunters and Lisa-Marie Deetlefs for the Rangers. There were some unbelievable lines run by the Bunters forward duo of Thati Segoale and Courtney du Preez, but the final ball was just not arriving for the 2016 champions. Monique Bartsch was particularly impressive for the Rangers who also couldn’t get through the opposition backline. In a game of only four shots on target, split evenly, just 38 circle penetrations and only three penalty corners it was always going to come down to who took their opportunity. Unfortunately for the Rangers the answer to that question was Izelle Verster for the Bunters. Verster turned on the top D to create space and fire a low finish past Modipane in the Rangers goal. That goal for Verster added to her assist in the 2016 final for the Bunters when she had set up Kaydee Miller for one turned out to be the championship winning goal. 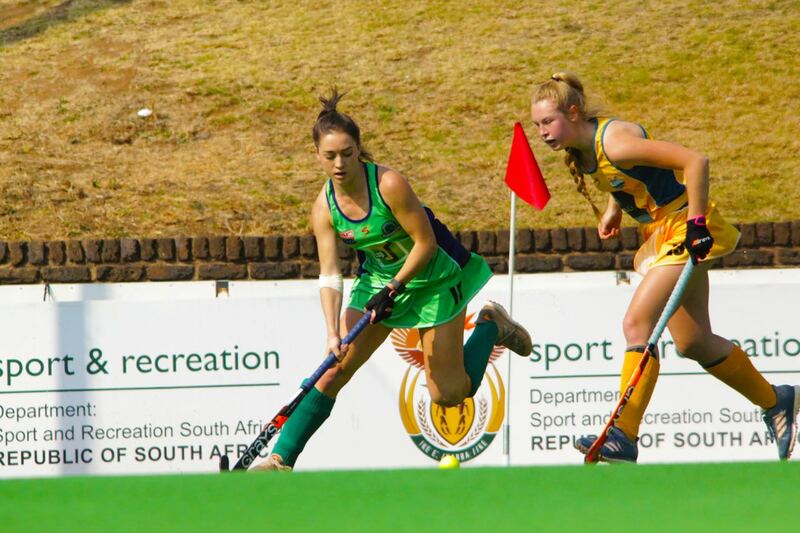 As the Rangers tried to force their way back into the game Lisa-Marie Deetlefs tried to gain traction in the final the Bunters raised their work load and blunted attack after attack with Jessica De Bruyn-Smith and Carmen Smith being particularly impressive. 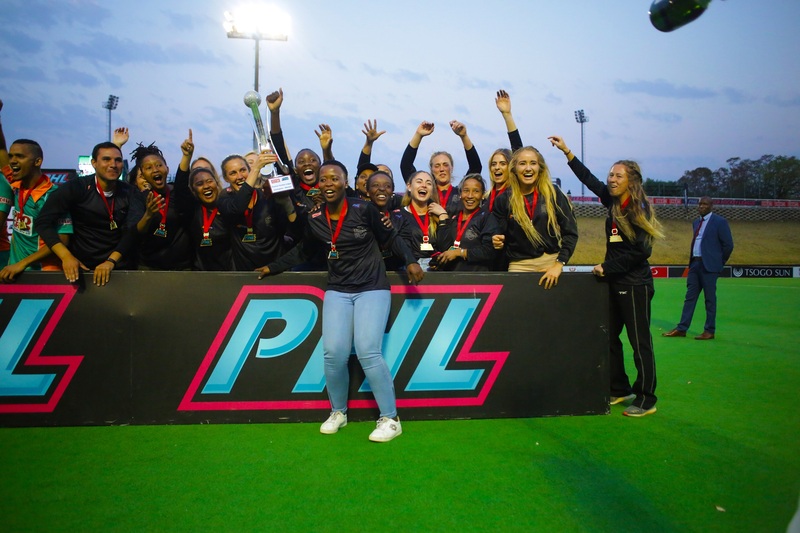 When Sylvia van Jaarsveldt missed a golden chance to beat Phumi Mbande in the Bunter goals in the last minute it was to the sheer delight of Marcelle Keet and her Bunters team, becoming champions for the second time in three years. Having both tasted defeat in the final before both the Drakensberg Dragons and the Addo Elephants were keen to add a gold medal to their collection, unfortunately only one of them would be able to do so. The Elephants were up against it early though as Bili Ntuli gave the Dragons the lead in the third minute. A penalty corner by Matt de Sousa was parried away by Matthew Martins but after a short scramble in the circle Ntuli fired it home with clinical quality. Paired with his semi-final goal and his IPT final winning goal it’s further cementing his reputation as a big game goal scorer! The Dragons didn’t need to wait too long for their second goal and when it came it was a real moment of quality. In the 20th minute they won the ball out of defence, Richard Pautz traded passes with Francois Pretorius who then fed Ntuli up in the circle. His shot was superbly saved by Martins, but it fell to Pautz who lifted the ball before smashing it into the net. The Elephants were producing moments of true beauty in the middle of the park but were making mistakes around the circle and in truth Gowan Jones had very little to do in the Dragons goals for much of the match. To their credit the Elephants refused to lie down and after pulling their keeper off for the final five minutes gave it their all to at least get a consolation goal, while Dan Bell was mopping up anything that came through to the back. They were unfortunately unable to break down the resolute Dragons backline and had to make due with another silver medal. Victory confirmed another title for Sihle Ntuli as coach after his African Youth Games with the Under `18’s as well as the IPT with Kwazulu Natal Raiders earlier this year, further cementing his status as one of South Africa’s best coaches. “Its been three years for us to get to this position. It’s a 23-man squad and every single one of the team played an important role in the title. If you get two clean sheets in the knock out stages, you probably deserve to win the title and we are chuffed with doing just that! “shared victorious captain Jethro Eustice. In the other games on the day, the St. Lucia Lakers took advantage of an off-colour performance by the Orange River Rafters to win the bronze medal with a 3-0-win courtesy of goals by Stephanie Baxter, Shelley Jones and Kara Botes. In the Men’s bronze medal match it was a shootout success for the Gazelles to win the bronze, their best PHL finish. There was one goal in each quarter with Brynn Cleak scoring in the first for the Cavemen, Michael Abrahams in the second for the Gazelles, Brandon James in the third for the Gazelles and Rusten Abrahams in the fourth for the Cavemen sending the game to shootouts. Men’s Final – Kilimanjaro Addo Elephants 0-2 Pro Grip Drakensberg Dragons. On semi-final day it was a case of dejavu as the Blyde River Bunters and the Madikwe Rangers set up a repeat of the 2016 final through their shootout victories over the St. Lucia Lakers and the Orange River Rafters respectively. The Blyde River Bunters started their semi-final against the St. Lucia Lakers much on the back foot but managed to keep the score level until half-time. The Bunters then started the second half in better form before, the Lakers finally got the lead that their first half deserved when they scored through Megan Anderson, the 150th goal in Women’s PHL history. The striker picked up the ball at the top of the D, turned and fired brilliantly past Phumelela Mbande, something that almost seemed impossible with the form of the South African keeper on the day. The Bunters tried to raise the game in the second half as they looked for the equaliser, but in truth were struggling to break the superb defence of the Lakers. Eventually though they got a penalty corner opportunity, just their second of the game to the five from the Lakers, and in an identical repeat of last week’s game, Carmen Smith fired home the goal that restored parity in the 56th minute. Ayanga Baleni had a golden chance to settle it for the Lakers in the last minute of the game but she fired wide and sent the game to shootouts. 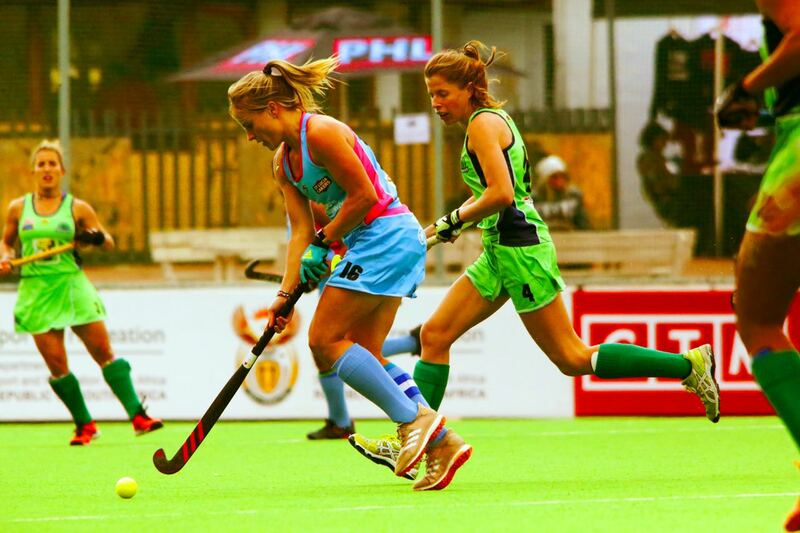 Kara Botes and Tegan Fourie scored for the Lakers, but because of Elmien Marais, Izelle Verster and Minke van Heerden scoring for the Bunters, Stephanie Baxter, the first player ever drafted in PHL history, had to score but she was unable to beat Mbande sending the Bunters back to the final. The Rangers were huge underdogs taking on the Orange River Rafters and their task looked even harder when Charne Maddocks put the undefeated defending champions in the lead in the fourth minute. There was a super goal line clearance by Lezaan Jansen van Vuuren but Maddocks was perfectly positioned to tap into an empty net. Things went from bad to worse for the Rangers when the Rafters skipper Sulette Damons made it 2-0 early in the second quarter. Picking up the ball on the base line Damons created her own space before smashing the ball home. It was a reminder why she is so highly feared across global hockey. It had been a perfect first half for the Rafters limiting the Rangers to just one shot at goal. With nothing to lose the Rangers tried to fight back and Sylvia van Jaarsveldt started the Rangers comeback in the 36th minute making her the leading all-time scorer in PHL history, with a real poacher’s effort just in front of Greyvenstein in the Rafters goal. The Rangers then pulled level, taking advantage of the Rafters yellow card and scoring through a slight deflection from Shindre-Lee Simmons. It was a goal they deserved for their best half of hockey in the tournament so far. The Rangers poured forward with sensational intensity and were unlucky to not win the game in normal time denied by bad luck, poor finishing and Cheree Greyvenstein and the second semi-final went to the shootout. The Rangers winning 3-1 with Deetlefs, van Vuuren and van Jaarsveldt all netting and setting up a repeat of PHL 2016’s gold medal match. The Addo Elephants followed the example of the Rangers and the Bunters in returning to a final for the first time since 2016 with a fantastic 3-1 win over the Garden Route Gazelles. Having played last weekend, the Gazelles were victorious 3-1 and carried the momentum into the semi-final. The Elephants were the team who laughed first getting the game’s opening game through Damian Kimfley in the last play of the opening quarter, just after a fantastic save by their own keeper Matthew Martins. The finish by Kimfley gave no chance to Nolutshungu who had already made a few telling saves for the Gazelles. It was a half of few great chances with the Gazelles probably shading the stats at half-time. Based on that they were probably deserving of their equaliser when it came in the 38th minute through Reece Arendse with a beautifully taken goal, Pierre Bothma with a fine assist laying off the pass at the right second to put Arendse through. It was an even game at the end of the third quarter that was crying out for a moment of magic to settle it. It would come from Kimfley who was fed a ball from Bjorn Sorenson and with a powerful strike on the tomahawk gave the Elephants the lead. The Elephants managed to add shine to the scoring in the final minute of the game when they won a penalty corner with the Gazelles having taken their keeper off. Tim Guise-Brown finished off clinically to wrap up the game and book a spot in the final. “We have a great attacking threat, we shared the love with the goal scoring today and well done to our boys. I would love to win a title with my new team too!” shared Elephants captain Miguel da Graca, who previously won with the Maropeng Cavemen. The second semi-final was a repeat of last year’s final as the Dragons took on the double defending champions the Cavemen. The group stage game was a landslide victory for the Dragons, but only the foolish would predict a similar score line today. There were no goals in the first half, but the Dragons probably had the better half with Andrew Jarvis, Dylan Swanepoel and Richard Pautz calling on saves from Pieterse, while the Cavemen fired their best shot wide through a PC from Kyle Lion Cachet. Both sides had produced 15 circle penetrations further highlighting the tightness of the game. 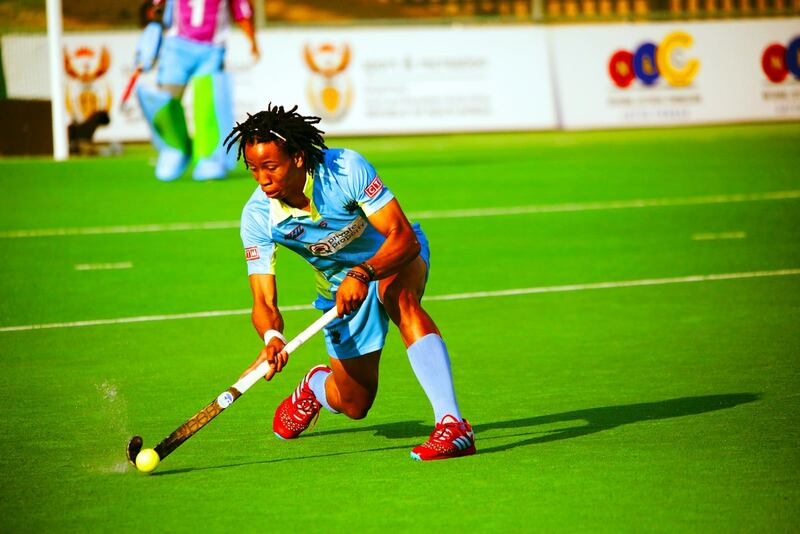 The biggest crowd of this year’s CTM Premier Hockey League were rewarded with a goal at last when in the 44th minute Bili Ntuli popped up to put the Dragons into the lead. The South African international is developing a reputation for big goals taken in big games and his team were delighted with the effort. It was a brilliant reaction finish after the penalty corner was saved, Matt de Sousa controlled exceptionally well before firing in a shot and Ntuli’s touch gave an in-form Pieterse no chance. It was a goal the Dragons deserved in a dominant third quarter. They extended the lead in the 55th minute with a superb diving finish by Amkelwa Letuka after wonderful work from Chad Caincross. It was a goal made of superb commitment and it confirmed that for the first time in PHL history, the Cavemen would not lift the trophy on Sunday. “We had a good weekend last week and that gave us momentum. We know the Cavemen are a great side and we did enough today. We think we have an upper hand for tomorrow and are excited to be in the final.” Shared an elated Dragons keeper Jethro Eustice. The group stages are complete, and we have lost two of our teams. Ahead of this weekend’s semi-finals we look at the four finalists in order of league position. The Rafters made history when they became the first team in CTM Premier Hockey League history to win all five group games. In the opening weekend it was about outscoring opposition, while in the second weekend it was about out defending others. The 2017 champions have Lerato Mahlangu in fine goal scoring form, while Sulette Damons and Donna Small continue to impress. It’s a relatively young side with half the team 21 or younger but they have shown their willingness to fight for each other. Although there have been some individual moments of brilliance their journey to the top has been one about team dynamic more than individual brilliance. The Bunters have an incredible CTM Premier Hockey League history with 15 wins in 19 games over the three seasons. In goals they have the finest keeper in the country in Phumelela Mbande and conceding only three goals in the five games so far. Izelle Verster, Jessica De Bruyn-Smith and Elmien Marais have been critical to that form and it’s been the top scorer in the tournament Carmen Smith who has separated them from the others. In Erin Hunter and Kara-lee Botes they have undoubtedly got the centre back pairing of the tournament, while Tegan Fourie has proven that she is lethal when given the opportunity. There is a lot to like about the way Inky coaches his teams as they have been defensive masterclasses throughout the tournament. Having lost to the Bunters last weekend they will need big performances from the likes of Shelley Jones, Stephanie Baxter, Ayanga Baleni and the aforementioned trio to topple the 2016 champions. The Rangers had to wait until the final game of the group stage to confirm their spot in the final four, but when offered the opportunity it was taken by Kristen Paton with both hands. Unfortunately for Bevan Bennett, Kristen is not available this weekend as she is playing hockey in Europe. If they are to cause an upset in beating the Rafters they will need Lisa-Marie Deetlefs to leave from the front, while Sylvia van Jaarsveldt offers goals and Nomnikelo Veto creates opportunities regularly with her off-the-ball movement. The Drakensberg Dragons streamed to the top of the log by the bonus point secured in the crushing 6-1 victory over semi-final opponents the Maropeng Cavemen. After losing their opening game against the Addo Elephants the Dragons have won four on the trot and find themselves with momentum on their side. With 17 goals they are the tournament’s top scorers and Richard Pautz leads the individual standings too. If they are to progress to the final the likes of the in-form Mo Mea, Bili Ntuli, Peter Jarvis and Dylan Swanepoel will be integral. The Addo Elephants took the CTM Premier Hockey League 2018 by storm with four wins out the blocks before they lost out in the final group game to their semi-final opponents. The Elephants boast the attacking dynamic duo Ingatius Malgraff and Julian Hykes, the two highest scorers in PHL history, who if they fire on the same day are unplayable. In Miguel da Graca they have a captain who knows how to win and in Daniel Bell they have arguably the player of the tournament so far. Andrew Manson also continues to play his best hockey for the Elephants who also welcome Cerezo Comersamy back from injury. The Gazelles lost their opening two games, one via the dreaded shootout, before storming back into the semi-final picture with three wins in a row. They are the only one of the semi-finalists with a new coach this year and Ashlin will be delighted with the progress the team has made. They scored 16 goals, the second most, through 11 different players showing their goal scoring ability across the team. 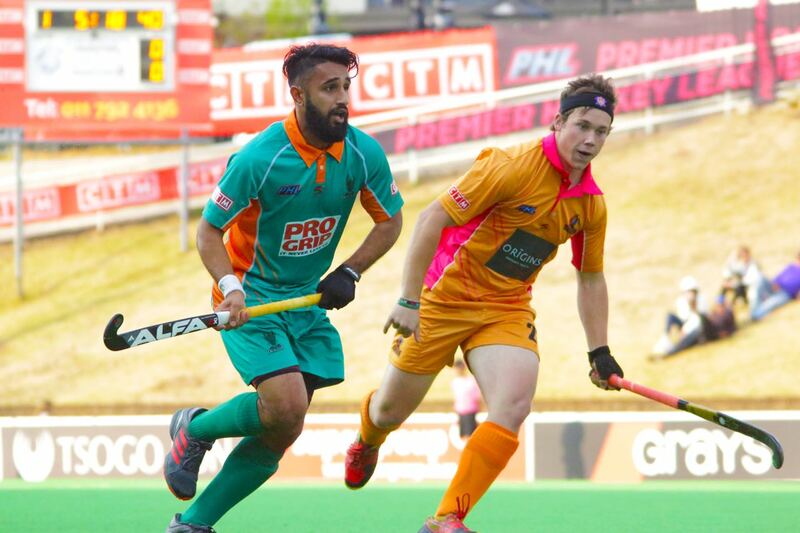 Connor Beauchamp has one of the more lethal flicks in SA Hockey, while Taine Paton and Brandon James are playing the best hockey they have played in recent years. Michael Abrahams has had a great CTM PHL, while Tyson Dlungwana and Gerald Mpopo continue to produce fantastic displays and in Siya Nolutshungu they have a match winner in goals. The Cavemen experienced their toughest group stage of CTM Premier Hockey League history but made it safely through to the final four on the back of the opening weekend 7 points. They also welcome back influential Ricky West for this weekend in a major coup for the double defending champions. 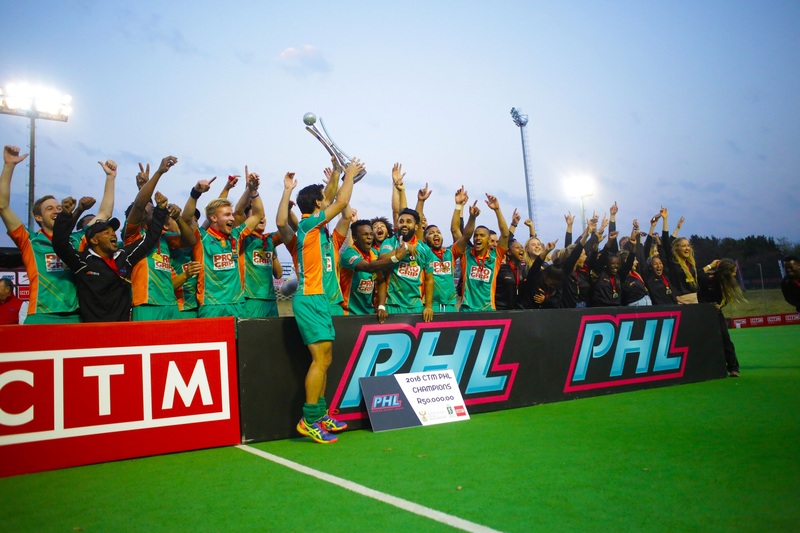 They are the only team in the semi-final line-up to have never lost a knock out game at the CTM Premier Hockey League. Although they are known as an experienced side featuring the likes of Tommy Hammond, Rassie Pieterse, Lance Louw and Reza Rosenberg in the ranks, it’s been Chad Futcher, Rayner York, Kyle Lion-Cachet and Peabo Lembethe who have been the stars for the Sanders in his quest for the third star! 30 games of hockey over 6 days produced 108 goals and now leave us with just four women’s sides and four men’s sides in the 2018 CTM Premier Hockey League. The weekend of four fixtures for most sides has taken its toll and the teams will be excited for a week off before taking on next week’s final weekend. The early story on the day was the Wineland Wings and the Madikwe Rangers playing off for a place in the Quarter Finals, with the Namaqualand Daisies waiting to capitalise. 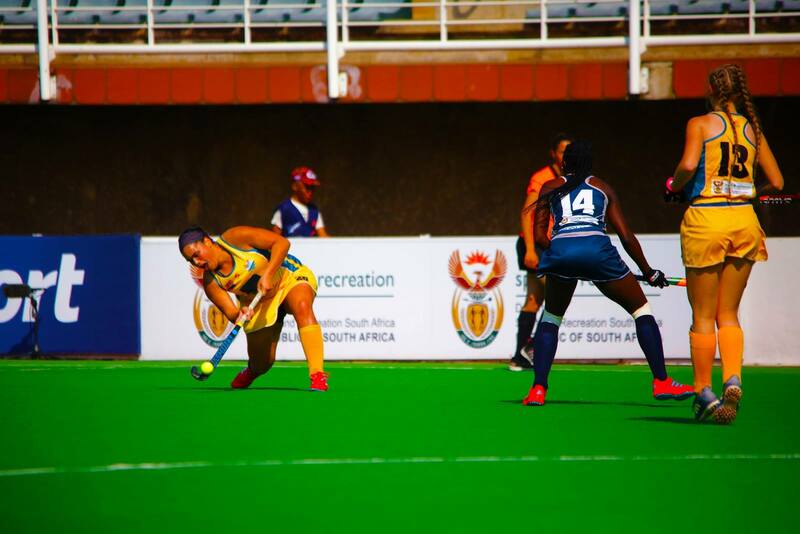 The pressure and fatigue took its toll on the players and ultimately the quality but the Wings, knowing a victory gave them a chance, took the lead through Candice Manuel, reminding SA Hockey fans of her quality in front of goal. Young Stephanie Botha extended the lead in the third quarter to 2-0 giving the Wings a real chance of progress. The Rangers needed someone to take the game into their own hands and they are fortunate to possess a player with the quality of Kristen Paton. The South African World Cup squad member pulled a goal back in the third quarter from a penalty corner before saving the best for last in levelling the game in the last minute. For the Wings it was the dreaded shootout that already meant they were eliminated from the tournament. To add insult to injury it was the Rangers that won the shootout and the three points and gave the Wings their 8th straight shootout defeat. That result meant that the final game had something to play for still. The Daisies would qualify for the semi-finals with a 6-goal win, while the Rafter would become the first team in PHL history to complete a perfect group stage. Unfortunately for the Daisies in a very slow match, the Rafters possessed the quality when Donna Small went on a slalom run that set up Lerato Mahlangu, the poacher finished superbly. As much as both teams tried, the legs were gone, and no further goals were found. In the other women’s game both the Blyde River Bunters and the St. Lucia Lakers had qualified already but a game that will be repeated next week in the semi-finals was lit up by two moments of quality from Carmen Smith. Her two penalty corners for the Bunters were hit with such velocity that the rebound went almost back into her own half. Neither goal left much opportunity for Moya Smith in the goals and probably showed teams the best way to beat the Lakers is by using your penalty corner opportunities. Next week Saturday the Orange River Rafters reward for topping the table is a semi-final encounter with the Madikwe Rangers while the Blyde River Bunters will take on the St. Lucia Lakers again. In the Men’s tournament there were two main questions still to be answered. Could the Mambas get a bonus point and qualify ahead of the defending champion the Cavemen and could the Addo Elephants become the first men’s side to win 5 out of 5 in the group stages of PHL. The Mambas answered the first question emphatically with a no. They never really looked like they would score three and struggled to keep up with the combination play of the Dragons front line. The Dragons underlined their title credentials with goals in the 2nd, 3rd and 4th quarters through Mbuso Mgobozi, Richard Pautz and Amkelwe Letuka. Courtney Halle got a late goal back for the Mambas before the coaches added some excitement as both pulled their keepers for the last four minutes. It created a comical moment for the Dragons as kicking back Cameron Ryan inadvertently set up an easy finish for Mambas striker Luthando Jonas. Fortunately for Ryan the goal did not cost the Dragons the victory in the end as they saw out a 3-2 win. The final question was answered by Siya Nolutshungu as his performance in goals denied the Elephants a fifth win in as many games. Brandon James, who has had a fine weekend, gave the Gazelles the lead with a clinical finish before Michael Abrahams and Gerald Mpopo both finished different opportunities in the same convincing manner. Ignatius Malgraff got the very late consolation goal for the Elephants who will now face the Gazelles in the semi-final next weekend, while the Cavemen will play the Dragons. 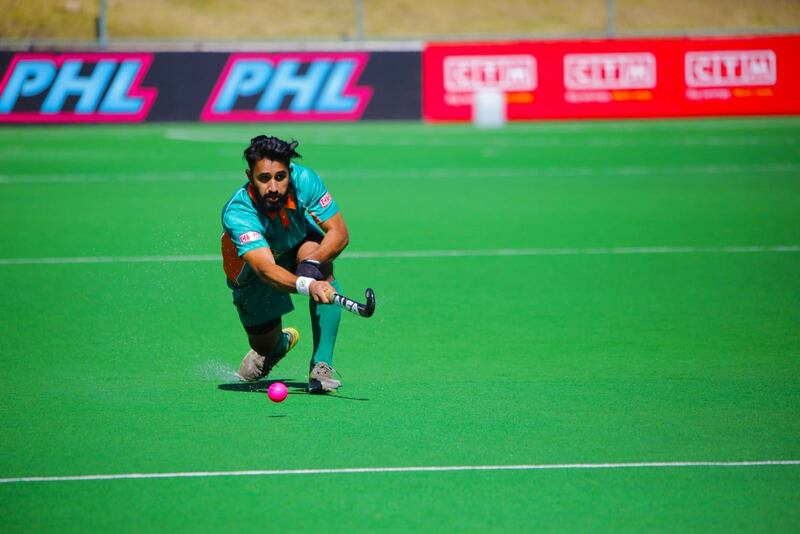 If the previous four days of the 2018 CTM Premier Hockey League could be themed by the goal scoring exploits of all teams, day five showed the defensive class at the tournament as less goals were scored on a tough day at the Randburg Astro. Only one day and five matches remain in the group stages and certain teams have already qualified for the final weekend next weekend. The Orange River Rafters, the defending champions, had already qualified for the semi-finals and were joined there by the Blyde River Bunters and the St. Lucia Lakers with their victories over the Namaqualand Daisies and the Madikwe Rangers respectively. The Bunters were workmanlike in methodically overcoming their defeat yesterday to beat the Daisies, themselves on a high from their shootout victory against the Wings yesterday. Carmen Smith got the game’s opening goal from a 39th minute penalty corner and from thereon out the Bunters managed to hold out the advances of the Daisies. The icing on the cake arrived in the second last minute of the game as Mmamoagi Kungoane settled the game once and for all. The St. Lucia Lakers welcomed back Shelley Jones into their line-up but were once again superbly led by the defensive duo of Erin Hunter and Kara Botes. The defensive stability meant that the likes of Kristen Paton, Isabella da Rocha and Lisa-Marie Deetlefs were thwarted time after time. 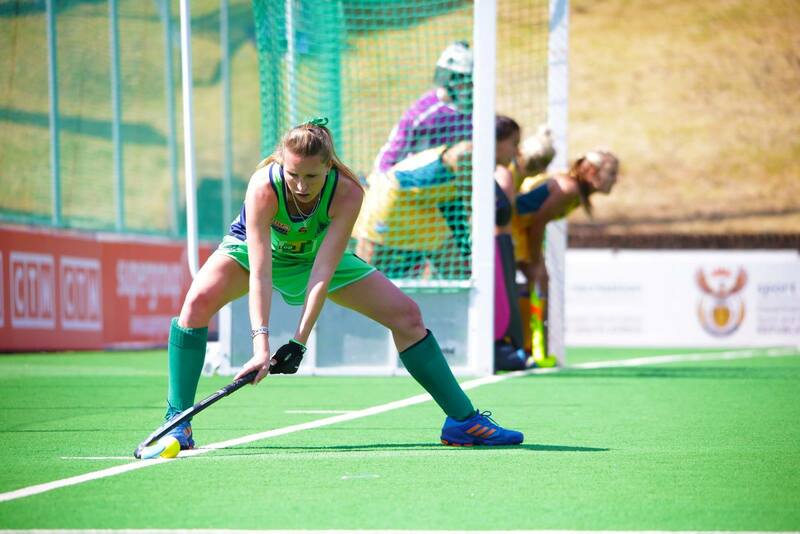 The Lakers needed someone to convert up the other end and Tegan Fourie, who scored a blinding drag flick yesterday, showed she is a name you really should know in SA Hockey. The Indoor international created a small pocket of space and fired into the back of the net. What it means for the Women’s competition is that the Madikwe Rangers, Wineland Wings and Namaqualand Daisies will fight it out for the last semi-final spot tomorrow. The Addo Elephants confirmed their spot in the final four with an Ingatius Malgraff inspired 2-1 victory over the Cavemen in a repeat of the 2016 final. After opening the game with attacking intent the Elephants retreated into defence and allowed the Cavemen a lot of possession. As the Cavemen upped the ante at the end of the first half, Malgraff produced a sublime piece of individual skill to slice through the Cavemen backline and finish past a helpless Rassie Pieterse. In the second half the Cavemen kept winning penalty corners, but they were unable to score from any of the 9 they won. There was a massive chance for the Elephants to settle the match, but Damian Kimfley fired over, and the Cavemen went up the other end and scored through a sliding finish from their top scorer Chad Futcher. With 30 seconds left the Cavemen were pouring forward but another moment of brilliance by Malgraff decided the game. In sliding the ball past Pieterse Malgraff collided with goal and had to be treated afterwards, but his second goal of the game and 12th of PHL history meant the Elephants stayed top and arguably favourites. The defeat left the Cavemen on 7 points. That result meant that the Garden Route Gazelles 3-1 victory over the Mapungubwe Mambas earlier would probably be enough to make the top 4 as their goal difference is superior to the Cavemen. The Gazelles have turned around a bad opening weekend with consecutive wins. They started this morning’s game brilliantly as Connor Beauchamps fired home the early PC within 30 seconds of the game starting. Caleb Syce managed to pull Lungile Tsolekile’s Mambas level, but Clinton Panther a two-time winner with the Cavemen, re-established the lead for the Gazelles and Berne Burger settled the result. The Gazelles moving to 7 points. The Golden Gate Gladiators knew that victory was the only way to keep their tournament hopes alive and they faced a buoyant Drakensberg Dragons side. Their task was made much harder when they got to the half-time break 1-0 down to a Richard Pautz goal. As they have done all through the tournament the Gladiators continued to fight but were unable to breakdown a Jethro Eustice inspired backline and Richard Pautz popped up a second time, his fourth of the tournament, to put the Dragons through to the Semi-Finals and to eliminate the Golden Gate Gladiators. As it stands the Elephants and the Dragons have qualified for the semi-finals, the Gazelles are virtually through with a superior goal difference while the Cavemen will have to wait and see if the Mambas can produce a bonus point win that they need to knock the defending champions out. It all gets decided in the final group stage games tomorrow at the 2018 CTM Premier Hockey League. 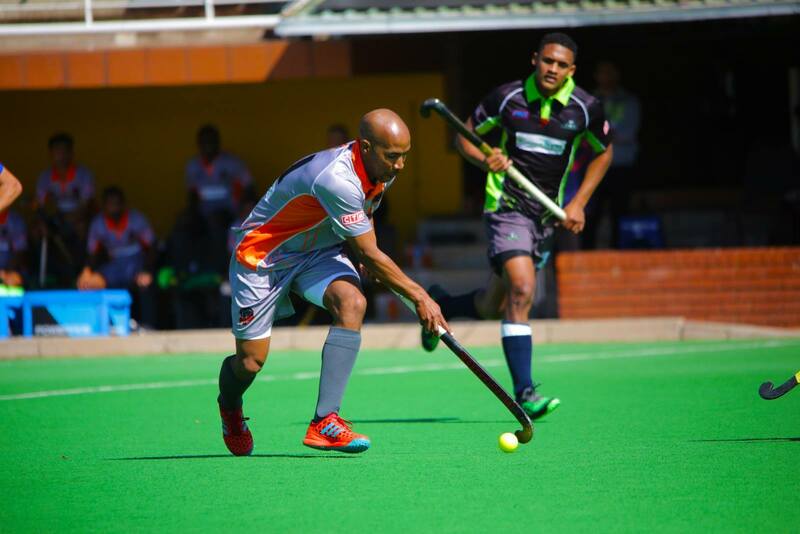 Day 4 of the 2018 CTM Premier Hockey League produced another 20 goals as the Addo Elephants and Orange River Rafters both continued to progress undefeated in the tournament. 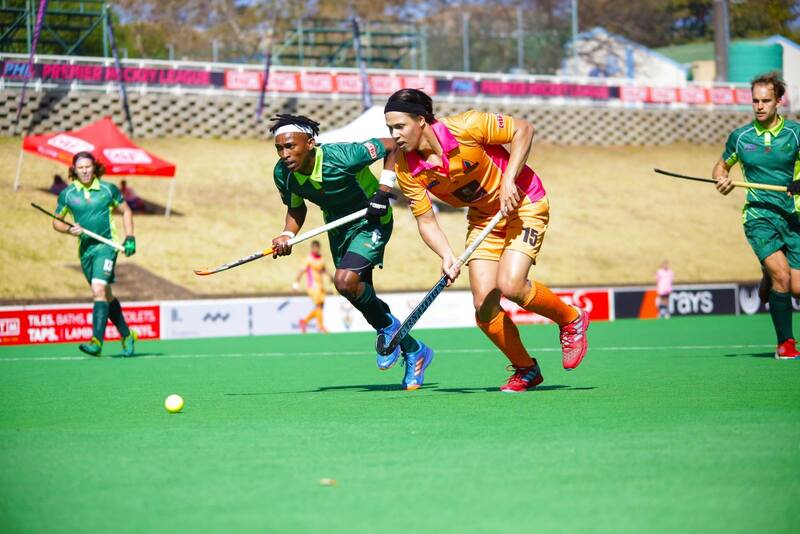 The Drakensberg Dragons inflicted the Cavemen to their heaviest defeat in PHL history, the Gazelles turned the Men’s tournament on its head and it’s a tether of hope for the Daisies with their shootout victory over the Wings. The Orange River Rafters became the first team to confirm their place in the semi-finals of the 2018 CTM Premier Hockey League with a tactical victory over the St. Lucia Lakers. The only two undefeated teams played out an enthralling battle for supremacy and it was the defending champions who landed the knockout punch in the titanic clash. The only goal of the incredibly tight battle was settled by a Casey-Jean Botha field goal in the 35th minute that left Shaun Hulley’s team with a perfect record of 4 wins from 4 games and a place in the final four. The Men’s tournament was thrown wide open in the bottom half as the Garden Route Gazelles fought back into contention with an entertaining and high scoring 5-3 victory over the Golden Gate Gladiators. The Gazelles had not tasted victory in 2018 so far but they went about correcting that in the best way possible. Their first half performance was breathless at times and Brandon James got his first goal of the tournament with an easy tap-in. He got his second for the Gazelles 10 minutes later with a fine finish past Duncan Fischer after great work from Taine Paton. Michael Abrahams made it 3 and had the Gazelles dreaming of the bonus point on the verge of half time, but a bullet from Sam Mvimbi allowed the Gladiators to take some momentum into the half-time break. They took this momentum further in the second half when Bradley Sherwood fired in a fantastic penalty corner to make it 3-2. As both teams looked for the games next goal it would arrive in a pair. Taine Paton and Keenan Horne scored almost carbon copy goals to re-establish the bonus point lead for the Gazelles. Their goals were split by 40 seconds either side of the end of the third quarter. Although they would lose the game, the Gladiators did score what could be one of the more significant goals of the tournament. With time out on the clock the Gladiators won a penalty corner which Brad Sherwood dispatched like a seasoned veteran. The goal denied the Gazelles the bonus point and importantly kept the table incredibly tight in a search for a final four position. The Maropeng Cavemen will in all likelihood make the semi-final, but they were on the end of their biggest defeat in PHL history when the Drakensberg Dragons, the 2017 runners-up, absolutely annihilated them in a brutal 6-1 victory. This is the second defeat in succession for the defending champions who will have a lot more questions to answer ahead of their final group game of the tournament on the weekend. For the Dragons it was six different goal scorers with Bili Ntuli’s finish a highlight as he scooped the ball past national keeper Rassie Pieterse, while Jethro Eustice penalty corner was reminiscent of the one that qualified South Africa for the FIH Hockey World Cup. The performance of SA U18 star Peter Jarvis was a highlight and rightfully was awarded man of the match for the Dragons. The Addo Elephants surged to the top of the Men’s table in the 2018 CTM Premier Hockey League this morning when they opened the day with a come from behind victory against the Mapungubwe Mambas. Having trailed 1-0 to a Ross Gonzalves goal, the Elephants came straight back through a sliding deflection by Tim Guise-Brown after superb work by Andrew Manson. The Elephants would go ahead in the 40th minute through Ignatius Malgraff, netting his 10th career Premier Hockey League goal, the all-time leading scorer in the tournament. That goal was enough to secure a third consecutive victory for the 2016 runners-up and all but mathematically they are through to the semi-finals. The days final game was the basement battle between the Wineland Wings and the Namaqualand Daisies. The Wings were largely in control of the game in the first half, creating multiple chances and winning multiple penalty corners. After having a goal disallowed through referral they finally managed to break the deadlock through Jess Lardant. The Daisies produced a much better second half and found themselves back on parity through a Toni Marks opportunistic finish. Although the Wings still created more circle entries and goal scoring opportunities, they could not finish, and the game went to the shootout. The Wings record from the previous years at shootouts read as played 6 lost 6. 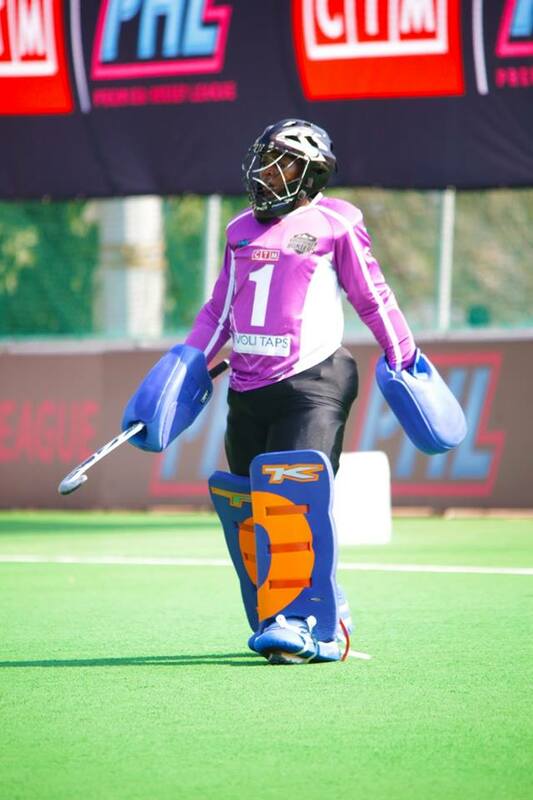 That record now reads 7 shootout defeats from 7 as Natalie Esteves the captain of the Daisies scored the winning goal that kept the Daisies hopes alive and virtually eliminated the Wineland Wings from the 2018 CTM Premier Hockey League.